General Information and Work History: Deb began her career as a Speech-Language Therapist and then trained as a Psychologist in Melbourne in 1994. 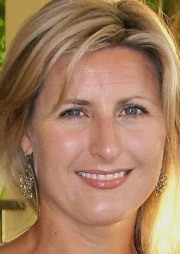 She has worked in Melbourne for 19 years in mental health in both Public and Private sectors. Her public work involved being the Family Counsellor for Autism Victoria and her private practice work in Melbourne included general counselling and supervision for allied health, specialists, GP’s and psychology students. Deb completed her Masters in Sydney and PhD at Monash University, Melbourne in Applied Linguistics doing community research on the social skills of depressed youth. She has an interest in the communication skills of young people and suicide prevention. Counselling of children, youth and adults. Individual and group supervision for allied health, specialists and GP’s and staff training such as stress and burn-out and caring for the carer. Workshops for youth, adults, families, including social skills training, assertiveness training, managing disabilities and parenting skills. Deb is also involved in sports enhancement & motivational psychology for sports people.